This North Manchester village, first mentioned in 1291 and famous as the birthplace of Hugh Oldham, founder of Manchester Grammar School, became the centre of the dyeing industry, its secrets smuggled out of revolutionary France. 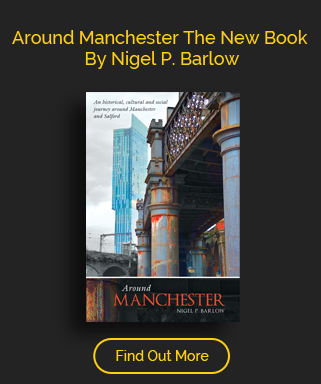 In two parts, upper and lower, the latter once described as being “the under milk wood” of North Manchester, its population as a dormitory suburb quickly expanded in the early 20th century. Today it is mostly a residential area and the location of the North Manchester General Hospital on the site of a former workhouse. 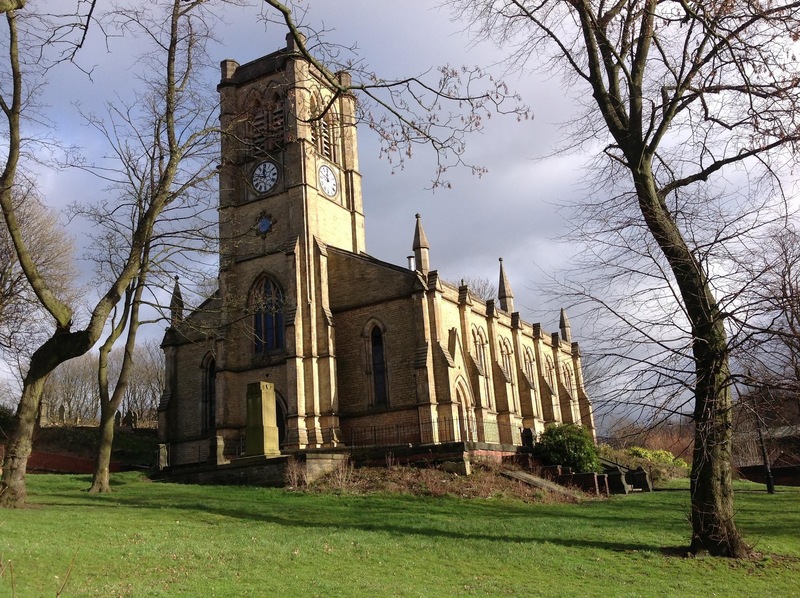 The village of Crumpsall; its name thought to mean a crooked piece of land by the river, is first mentioned in 1291 when certain of its lands were classified and valued. From a roll dated 1472 we are told that its lands were owned by Lord de la Warre, later owned by the Earl of Leicester who then sold it onto the Earl Grey de Wilton, a member of the family who later sold Heaton Park to the City of Manchester. For a long period a branch of the Chetham family held lands in the township, their residence, at least in later times, being known as Crumpsall Hall, famous as the birthplace of Humphrey Chetham, one of the most notable benefactors of Manchester, as founder of the hospital and library bearing his name. Angel Delaunay, from Rouen in France, in 1788 introduced Turkey Red dyeing into Crumpsall and Blackley, and built up a great business. His sons acquired part of William Marsden’s estate in 1819, later known as the Cleveland Estate, later the site of ICI’s works. The secrets of Turkey Red dyeing were unknown at the time on this side of the English Channel. The process was said to originate in Greece and whilst it had been tried unsuccessfully by a John Wilson of Ainsworth in the 1760’s it was the use of milk and a dung of cattle from their extensive farming interests that gave the Delaunay’s the edge over their competitors. Crumpsall Biscuit Works opened in Lower Crumpsall in around 1873. The factory created numerous products and had four departments, these were the biscuit factory; the cake factory; the sweets and toffee department and the drugs and sundries section. The Works at Crumpsall boasted being “the only 8 hour day biscuit works in England” and had numerous facilities for its employees including a cricket club; football club; tennis courts; a bowling green; a recreation ground; a dining room for over 600 people with discounted refreshments and free warming of packed dinners; a library and board and card games. The Works put on numerous social events through the year including sports days, and dances and whist drives nearly every week during the winter. The Works also stated that girls, however young, were started at no less than 6 shillings a week, and that they were only employed to do girls work and not to save the expense of employing men. There was also a Sick Benefit Society. Despite its rapid growth during the late part of the nineteenth century it retained its village image. The Manchester Union Workhouse had originally been situated on New Bridge Street but by the middle of the nineteenth century, the building was proving inadequate for purpose, especially after an outbreak of typhoid in the town and a new workhouse was built in Crumpsall in 1855. Designed by Mills and Murgatroyd, it could accommodate 1,660 inmates which would comprise of 745 able-bodied men and women, 152 women including 76 with infants, 248 idiots, imbeciles and epileptics, 255 children under 16, 60 probationers and 200 sick.